infrastructure that will enable it accommodate the expected passenger surge in the next 13 years. 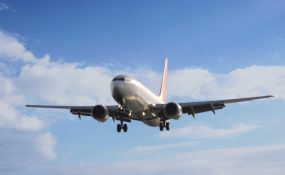 The International Air Transport Association (IATA) and the International Civil Aviation Organisation (ICAO) had projected that the global air travel would double by 2030 and called on all countries around the world to prepare for the increase. Usman said in the area of regulation, NCAA has it as its prerogative to ensure safety in the airspace and stressed that the federal government was poised to provide airport facilities that would enhance air travel, just as the country aspires to become a hub for the West and Central Africa before the projected period. Speaking at a seminar organised by the International Civil Aviation Organisation (ICAO), Monday, at the Murtala Muhammed Airport (MMA), Lagos, with the theme 'High Level Workshop on Global Air Navigation Plan,' Usman said that Nigeria was well positioned to contribute to the expected surge in the global air travel by 2030. Global air passenger travel in 2016 was 3.7 billion, according to IATA. The traffic rose 6.3 per cent when compared to 2015. This strong performance was well ahead of the 10 years average annual growth rate of 5.5 per cent. Capacity rose 6.2 per cent compared to 2015, pushing the load factor up 0.1 percentage points to a record full-year average high of 80.5 per cent. With the projection of IATA, global air travel is expected to grow to 7.4 billion passenger traffic by 2030. According to Usman, Nigeria within the period would have increased its infrastructure and its regulations, stressing that with this plan, the country would not be left behind. "In the spirit of 'NO Country Left Behind' as being professed by our own President of ICAO, Dr. Olmuyiwa Aliu, this workshop has been put in place to ensure that we key in and Nigeria is not left behind. So, in terms of regulation and infrastructure, we want to make sure that we are not left behind. "I'm sure you are aware of the forthcoming World Aviation Forum, the third one in the series that is coming up in Abuja and the first to be held outside the ICAO headquarters between November 20 and 22 this year, we want to take advantage of that. We have a plan and we need to implement the plan. So, part of it is the infrastructure and the theme of the conference is 'Financing Aviation Infrastructure,' Usman said. Also speaking at the occasion, Director of Air Navigation Bureau, ICAO, Mr. Stephen Cremer said that through the seminar, ICAO would get to know the prospects and the challenges of Nigeria towards the global 2030 global air traffic projection. He said that Nigeria as a leader in the continent needed to take the economic development in Africa, stressing that safety and regulations tools in place required improvement, but observed that the country had improved on the accident and incident records in the past years. "We want to share our views in a way that it is meaningful to you. There is no any country in the world that can say it has all the navigational equipment. We have challenges everywhere, which are not unique, but the way we approach them is what matters," he said. Also, the Deputy Regional Director, ICAO, Mr. Prosper Zo'o Minto'o said that Nigeria was considered as a leader on the continent in terms of its economic and aviation potential. He declared that the global aviation industry was at a stage it needed to modernise the system and Nigeria had been a pioneer in the introduction of satellite technology in the region since early 1990s. He, however, said that the navigational aids of the 1990s required upgrade and should be in tandem with the global technologies. Minto'o explained that air navigation was all inclusive as it involves airlines, accident investigation, airport management, regulation and weather forecast.